Say hello to this stunning 2015 Mercedes Benz CLA 250 4 Matic! It comes fully equipped with leather, heated seats, navigation and the wonderful 4 Matic AWD system! With just 39,159km this vehicle is sure not to last so come in and see it before it is too late! FULLY SERVICED**CERTIFIED AT "DEALER" STANDARD**INSPECTION OF YOUR CHOICE**WARRANTY WITH EVERY VEHICLE**UNCONDITIONAL DEALER SUPPORT! !NO EXTRA FEES ON SAFETY CERTIFICATION & EMISSION TEST! Financing&Services Available upon request. Good & Bad Credit Welcomed. 0$ Down O.A.C *** About Yorktown Motors *** Established in 2000, Yorktown Motors has grown to become a premier Used Car dealer in the GTA region. We pride ourselves on our dedication to our clients and attention to detail. Always striving to offer the best possible customer service with top-notch repair/maintenance work to assist you in all of you automotive needs. Making your vehicle buying as well as maintenance process over years to come, seamless & stress free. Yorktown Motors offers a state-of-the-art showroom, experienced sales staff and an established Finance Department. 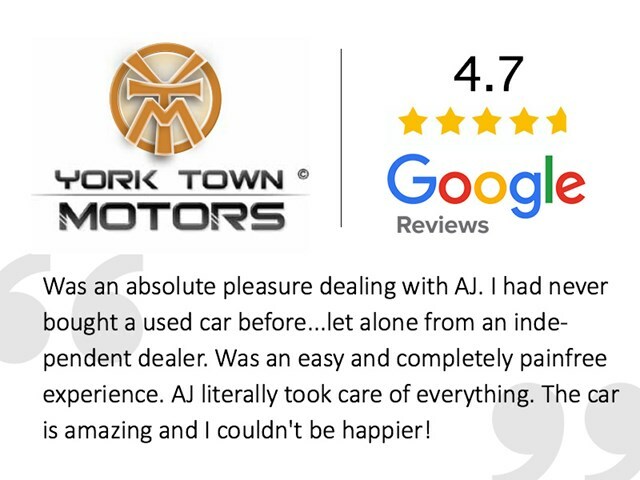 Whether you are in need of an affordable or Luxury Vehicle or Get a Car Loan without Hassle, Yorktown Motors of Toronto is here to assist you with any of your automotive needs! At Yorktown Motors, we look forward to serving you and building a relationship with you for years to come. Please stop by our dealership, or call us today to book and appointment, one of our dedicated sales staff would be happy speak with you! Le prix de ce véhicule est de 2 317 $ INFÉRIEUR AU PRIX DU MARCHÉ (8%) pour la région de Toronto. Il est comparé à des 2015 Mercedes-Benz CLA-Class semblables et tient compte du kilométrage, de la transmission, de la version et des options.